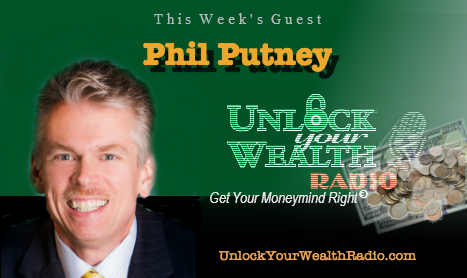 Phil Putney Personal Financial Specialist and President of AFS Wealth Management joins Heather Wagenhals, Host and Executive Producer of Unlock Your Wealth Radio offering financial advice on tax strategies and savings plan. Tune in this Friday, February 27th at 9AM PST as Phil reveals steps we can take before retirement to minimize our tax title wave. 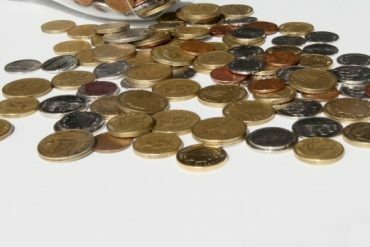 Phil shares these steps and offers advice on the best way to take out our money and when we should use a Roth IRA or Traditional IRA. 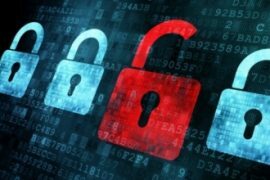 Phil’s CPA background allows him to provide clients a more complete financial planning strategy by assisting them in planning for their financial future as well as minimizing their potential tax exposure. In this interview Phil explains the how your taxes can increase 200%-300% as soon as you reach retirement. 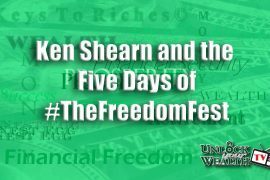 This interview airs Friday, February 27th at 9AM PST on the Libsyn platform with Phil Putney revealing how to avoid the Government default plan and come to the realization that if you owe taxes, you’re bound to pay them over time. Phil continues this interview by offering advice on finding the best tax strategy for your money as he helps us prepare for this year’s tax season. 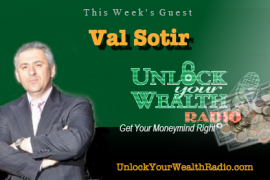 Plus Minutes on your Money, this week’s Moneyism, Money Drama and so much more as you Start anew in Season 22 with Unlock Your Wealth Radio.